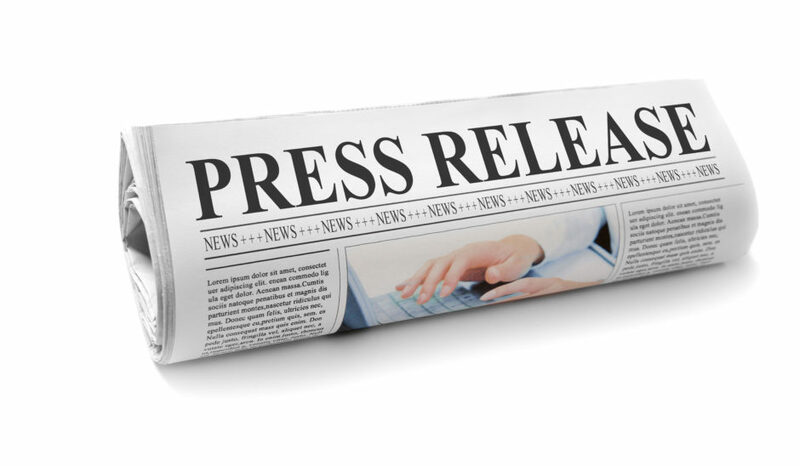 Rather than me trying to explain how prestigious these awards are, I’ll just let you read the press releases from the three company’s ……. Once again Reed Hair in Maldon have been shortlisted as one of the best in the hairdressing business at national awards. Reed Hair has been named as a finalist in the Customer Care Award and Front of House Team category at the British Hairdressing Business Awards, hosted by Hairdressers Journal International. The awards, which are now in their 19th year, seek to find and celebrate the very best salon businesses in the country – an industry which contributes an estimated £7bn to the British economy and one which employs more than 300,000 people. With 17 categories celebrating all aspects of the business side of hair, the awards are a proven platform for raising a salon’s profile. Even finalising in one of the prestigious categories marks a business out as one of the finest providers in the country; a win catapults them to the very top, providing unrivalled recognition that they are at the pinnacle of their profession and raising their profile to give an edge over competitors. 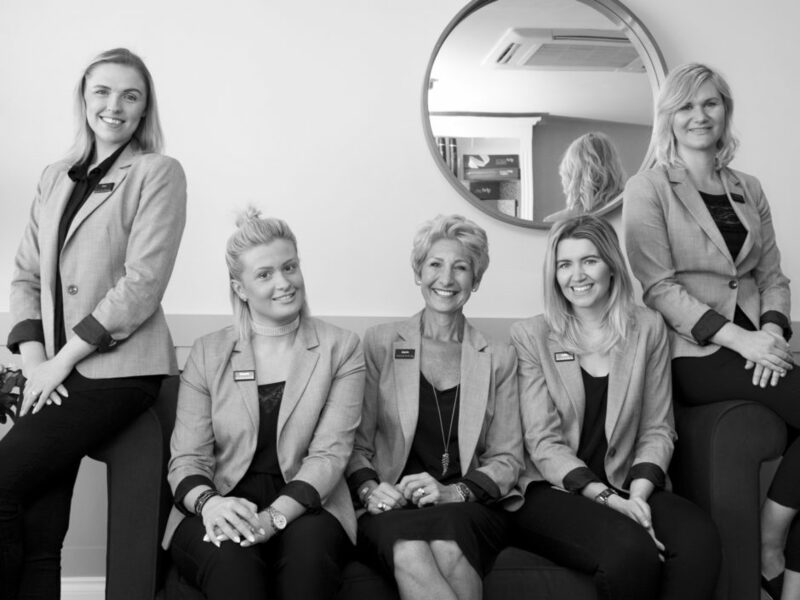 The Customer Care Award celebrates those salons who have created the perfect client journey; from booking to service to checkout – each step of this salon’s consumer interface is a seamless, professional and welcoming experience. The Front of House Team of the Year category celebrates the unsung heroes of the salon – those who are the first and last contact with the client. It seeks to recognise exceptional customer care, communication and going above and beyond in the name of service. Says HJ’s Executive Director, Jayne Lewis-Orr: “Promoting professionalism, innovation and excellence, the British Hairdressing Business Awards recognise those individuals and teams who work tirelessly to raise the profile and stature of this industry, and make it one of which we can all be proud. 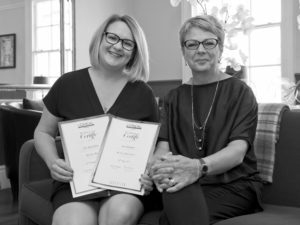 JANE WILLIAMS of REED HAIR in MALDON is celebrating after being named a finalist in the BUSINESS THINKER category of national hairdressing competition – the Most Wanted Awards. Thanks to an impressive display of skill, dedication and talent, Jane beat off stiff nationwide competition to secure a place at the Most Wanted Grand Final on Monday 6 September 2017, taking place at the historic London Guildhall and hosted by comedian Katherine Ryan. Judged by influential names in hair, fashion, business and the media – including George Northwood, hairdresser to Alexa Chung and Rosie Huntington-Whiteley, Vogue beauty editor Lauren Murdoch-Smith, and the founders of BeautyMART, Millie Kendall MBE and Anna-Marie Solowij – the Most Wanted Awards celebrate the outstanding individuals, teams and salons that make British hairdressing the best in the world. Presented by leading industry magazine Creative HEAD, the Most Wanted Awards comprise 14 categories, each recognising excellence across a multitude of disciplines, from business acumen and customer service to creative skill and technical ability. When the winners are announced on Monday 4 September, they will each be given the hairdressing industry’s greatest seal of approval – a Most Wanted Trophy. They will also enjoy an exclusive prize courtesy of their category sponsor and receive editorial coverage in Creative HEAD and its associated titles and websites, resulting in global exposure. 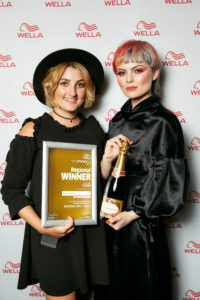 Faye White, from leading hair salon, Reed Hair, in Maldon, has been recognised as one of the UK’s top professional hair stylist & colourist following her success at reaching the UK & Ireland Final of the hairdressing industry’s most prestigious competition, the Wella Professionals TrendVision Award 2017, in the Color Vision Category. This year’s Wella Professionals TrendVision Award had over 500 entries at the initial Photographic stage, with Regional Heats taking place across the UK in Glasgow, Manchester, Nottingham and London, over the last few weeks. Following Faye’s success in the Southern Regional Heat, she will now go onto compete at this year’s UK & Ireland Final, making Faye one of the country’s most sought-after and in-demand professional hairdresser. Created to discover and acknowledge the industry’s most skilled hair stylists and colourists, the competition focuses on all aspects of hair styling and colouring, and the Photographic and Regional Heats are judged by some of the UK’s leading hair icons and multi award-winning hairdressers. The annual four stage competition kicked off earlier this year with a Photographic Entry and Faye made it through to the Sothern Regional Final where they showcased their chosen look on a live model in a dazzling evening show. Wella’s TrendVision Award has become one of the most iconic hair competitions in the hairdressing calendar. For 2017 there are two international categories to choose from, COLOR VISION and CREATIVE VISION, whereby the UK and Ireland winners will go on to compete at the International final in London in October 2017. In addition, new for 2017 there are two exclusive UK & Ireland categories; MALE GROOMING and RUNWAY. These two new categories are purely for the UK & Ireland final and the winners from these two categories will experience an exclusive backstage styling experience at London Fashion Week with Wella Professionals. Now, Faye will have time to prepare for the Wella Professionals TrendVision Award UK & Ireland Final, attending a mentoring day for all the Finalists in August with multi award-winning hairdressers Bruce Masefield and Jayson Gray. The TrendVision Award UK & Ireland Final is one of the industry’s biggest and most inspirational events. Due to take place on Tuesday 5 September 2017 at The Roundhouse, Camden, London. Competitors will showcase their model in front of hundreds and be judged by the best in the industry for the opportunity to walk away with the ultimate accolade in hairdressing. Should Faye be successful at the UK & Ireland Final, they will benefit from a dedicated mentoring programme, and the Creative Vision and Color Vision winners will then compete at the International TrendVision Award, due to take place in London in October. An Essex based stylist has joined a pioneering charity’s expanding network of Salons that Care. 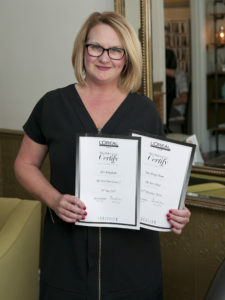 Zoe Kingham from Reed Hair, which is based in Maldon, Essex, has become the latest addition to My New Hair’s 900-strong network of hairdressers and 800 salons which make-up the Salons that Care located across the UK and Ireland. The charity, ‘My New Hair’, was founded and inspired by professional stylist Trevor Sorbie MBE, is celebrating its 10th anniversary in 2016/17. My New Hair provides advice and support to anyone who has experienced medical hair loss, and has a national support network of independent salons and trained hair professionals who provide a wig-customisation service for their clients. With the support of her salon Reed Hair, a dedicated member of the Salons that Care network for six years, Zoe has recently completed My New Hair’s Level 1 and Level 2 training seminars and will be completing her level 3 in September. 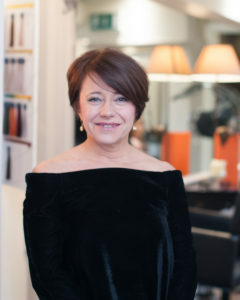 As part of her work with the charity Zoe has pledged her commitment to responsible training and providing a caring and sensitive service for Reed Hair’s clients. Zoe now helps clients with medical hair loss in Reed Hair salon’s private lounge. This special facility allows clients to have some privacy during their wig-customisation appointment and can be joined by friends or family for support. Trevor Sorbie MBE, founder of mynewhair, said: “We are delighted that Zoe from Reed Hair has undertook our training and has become a part of our ever-expanding network of UK-wide Salons that Care. We greatly value the work all our hair professionals do for people who suffer from medical hair loss – and we wouldn’t be able to do it without them! To find out more about My New Hair visit www.mynewhair.org or via Twitter @mynewhairorg, or follow the charity on Facebook and LinkedIn. My New Hair has produced a booklet of advice and information in conjunction with the Department of Health and Institute of Trichologists. The Patient Information Resource booklet gives readers lots of detail on what happens when you lose your hair, choosing a wig, having your wig styled to suit you and aftercare/ hair re-growth. These booklets are now available at Reed Hair.